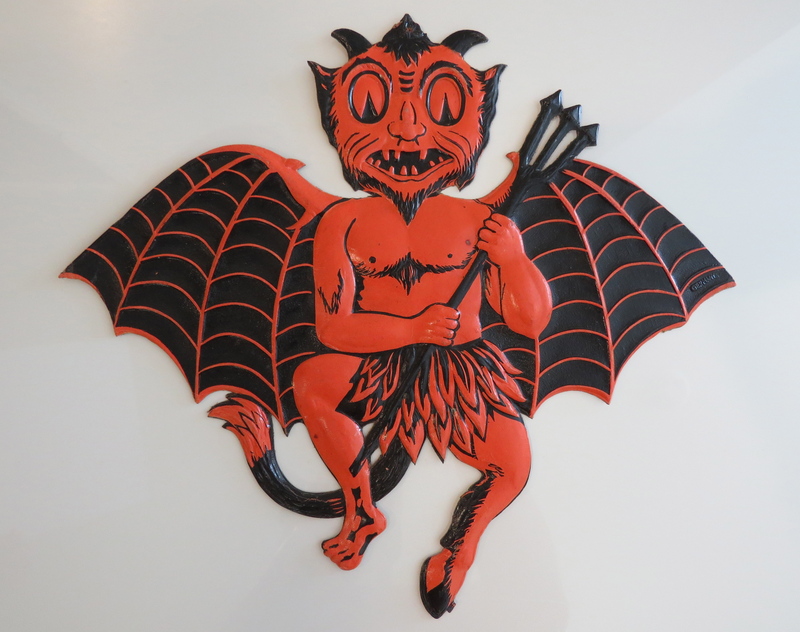 This is among the strangest, yet most fascinating diecut the Germans made. This pinnacle of design oddity was reached in the mid-1930s just as German artisans’ efforts were refocusing on domestic priorities as the German Reich prepared for war. By this time German holiday exports had slowed to a crawl and, relative to diecuts, they were almost exclusively shipped to eastern Canada. 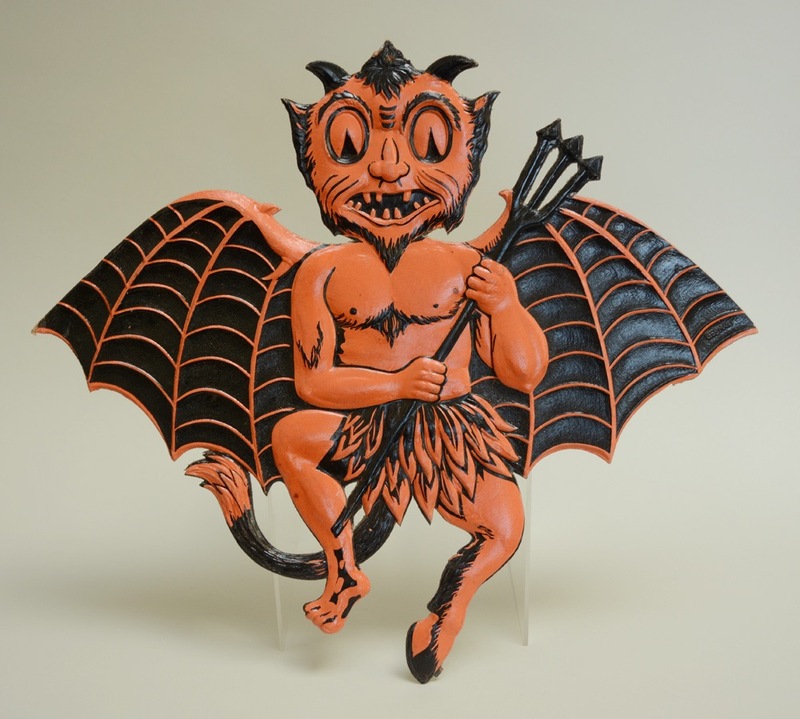 Made for a single season, this disturbingly heavily embossed devil bat diecut, complete with faithful trident, is seemingly shape-shifting into a winged devil-bat creature as one foot has a cloven hoof while the other does not. Measures 12” h x 14” w. Considered ultra-rare, this high quality top-shelf example is in remarkable condition.